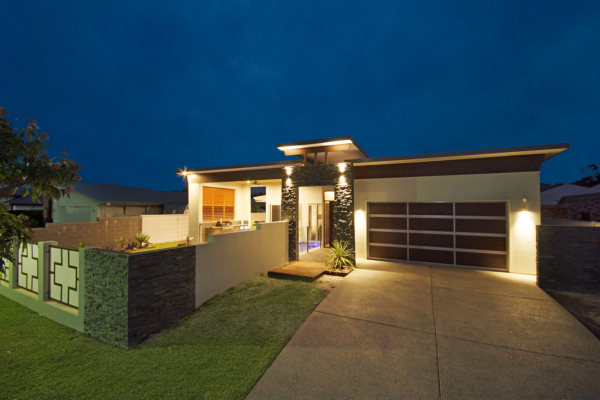 This home was built by the award winning builder, Grant McDonald Homes on the Sunshine Coast. RJP Design and Décor was engaged to provide professional advice on the final floor plan, as well as the interiors including the kitchen, laundry and bathroom designs. 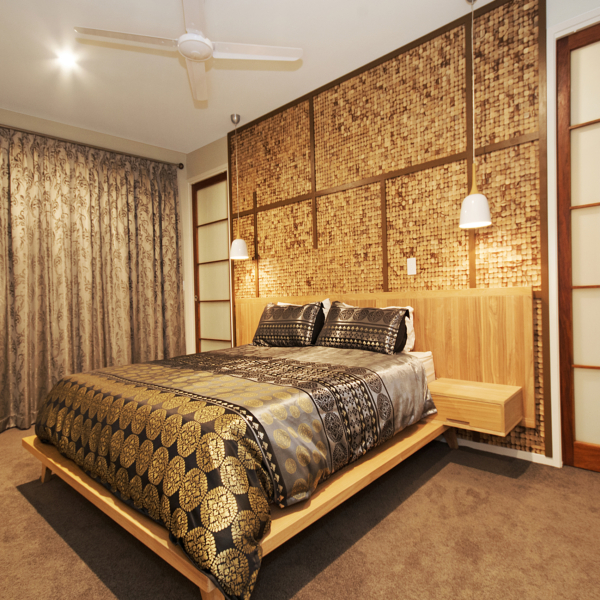 The clients wanted a modern home with elements of Japanese influence. The colour scheme both inside and out, materials and finishes were all chosen around the brief of natural, soft and calming; interest in textures and finishes; and focus on functionality and practicalities.